Think about how excited we get when someone tells us we can choose anything we’d like in a store or restaurant. That same excitement can transfer to a home remodeling job. It’s a matter of keeping your options open! Think of a multi-use space as the ultimate home remodel; you choose how to use it. 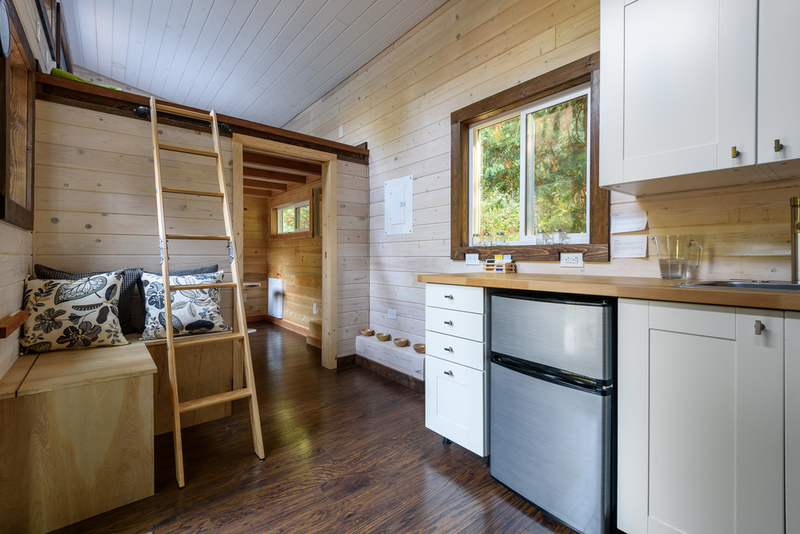 The idea of multi-use spaces really took off when the whole concept of tiny living entered our living rooms through home improvement shows on cable. We saw entire homes created where almost every space, other than the bathroom, had more than one purpose. It’s an idea that started tiny, and one that has the potential to go big as we change the way we look at our living spaces. As a bonus, it also allows future home buyers to look at your home and see something completely different, all in the same space. Ask anyone what draws their eye in a remodel and you’ll hear terms like bright, open, and natural light. Incorporating these features in a remodel capitalizes on current trends towards minimalism. Think skylights, solar tubes and high-efficiency, low maintenance windows. Consider the space a broad canvas for natural wood or bamboo flooring which can be left as is, or warmed up with area rugs that serve as natural room dividers. As more of us rely on personal electronic devices and less on permanent fixtures, a remodel should incorporate multiple user access points to plug and store items from cell phones to rechargeable vacuums and laptops. Less important are phone jacks and cable connections as folks choose to opt-out of landlines and traditional television services. Office. Bedroom. Family room. Entertainment center. Man-Cave. She-Shed. Doesn’t matter what you call it; what matters is that you have the opportunity to reinvent the space over and over again. The multi-use space lends itself to all these options and more. Forget traditional heavy sleeper sofas. Pop in a futon that doubles not just as a couch, but as a comfortable bed. Check out the sofa with the secret trundle hidden underneath. Think modular, moveable, and customizable. How Do I Start a Multi-Use Remodel? The best place to start, is with a realistic evaluation of your current home. Working with a professional, you can see if you can transform an existing space, or whether creating an entirely new space makes more sense. The easiest way to begin is by contacting a local, experienced professional. They’ll have ideas, a portfolio, and most importantly, references from other folks that were satisfied with the quality of their jobs. Start with a conversation. Two heads really are better than one.